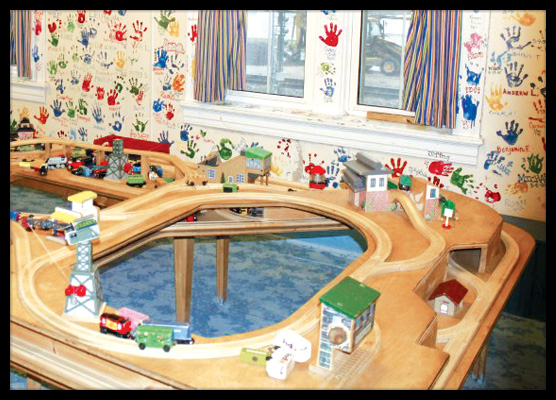 Toys, Puzzles, Playsets and More! We will be closed Sunday 4/21. Have a happy Easter! 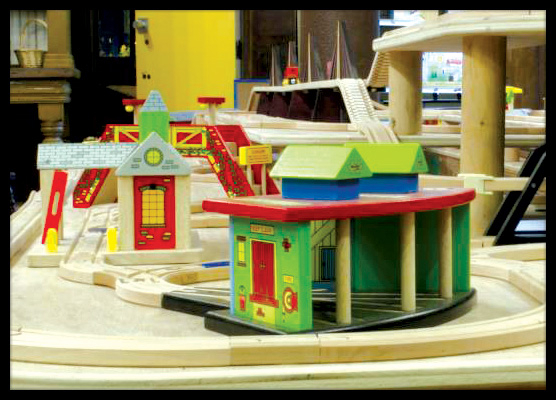 Our next Frisco Fun Night is Friday, May 10th from 5:30-8:30pm. 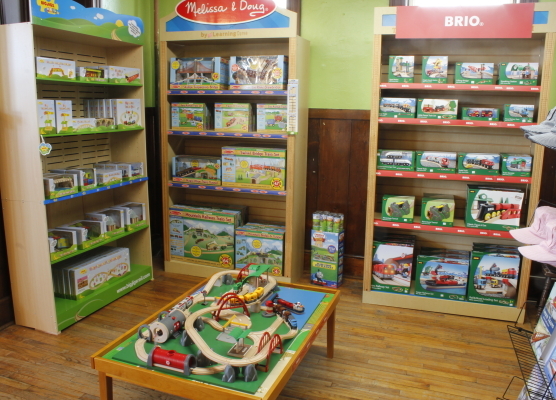 Welcome to the Frisco Train Store! 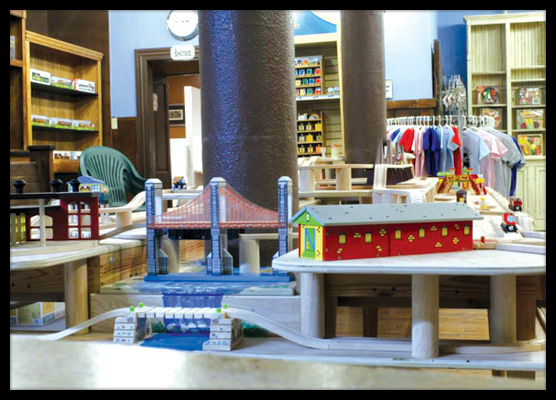 Welcome to the Frisco Train Store’s Website! 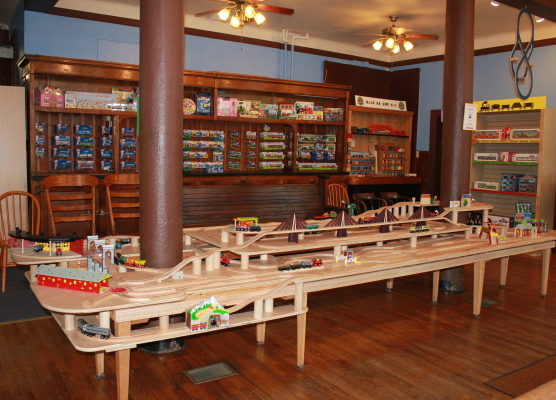 Located in the historic Frisco building, Frisco Train Store features the areas largest selection of wooden trains and accessories. 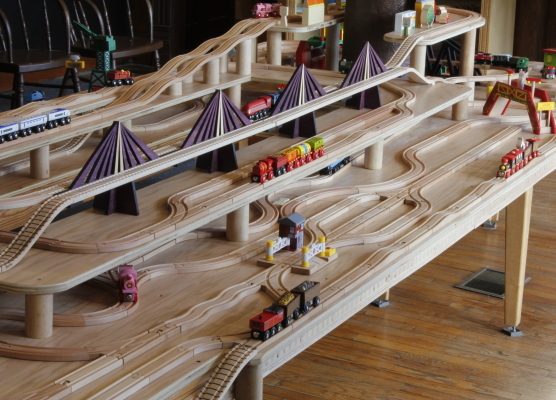 We carry a wide selection of Thomas, Brio, BigJigs, Melissa and Doug, Hape, Maple Landmark, Muni Pals and many others. 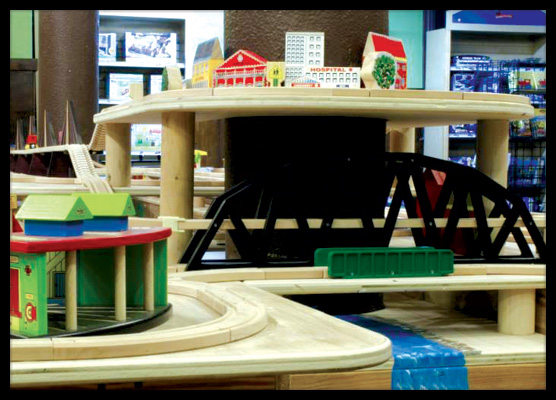 We also carry books, movies, puzzles, crafts, games, wooden playsets, party supplies, T-shirts, engineer hats and more! 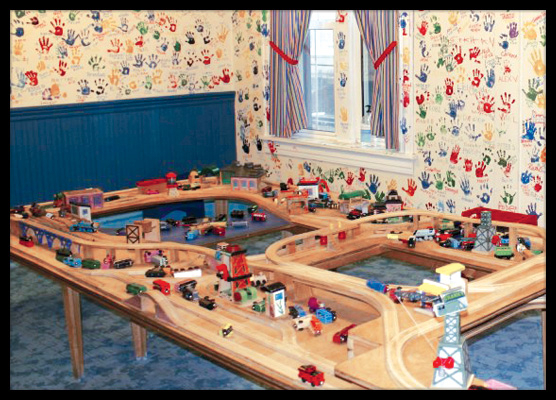 With so much to choose from, seeing what your kids are interested in before you buy can be a big help. 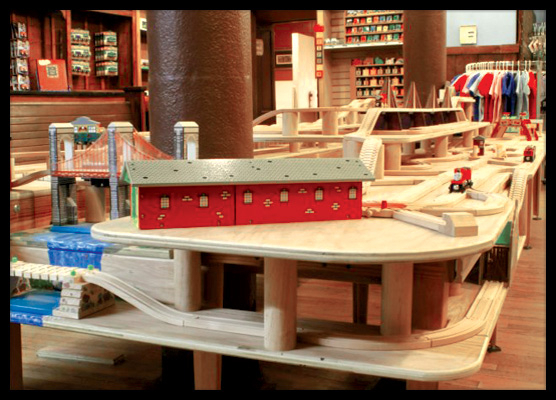 Play with them on our huge 16 foot multi-level train table, kitchen play area, or several of our venders demo tables! 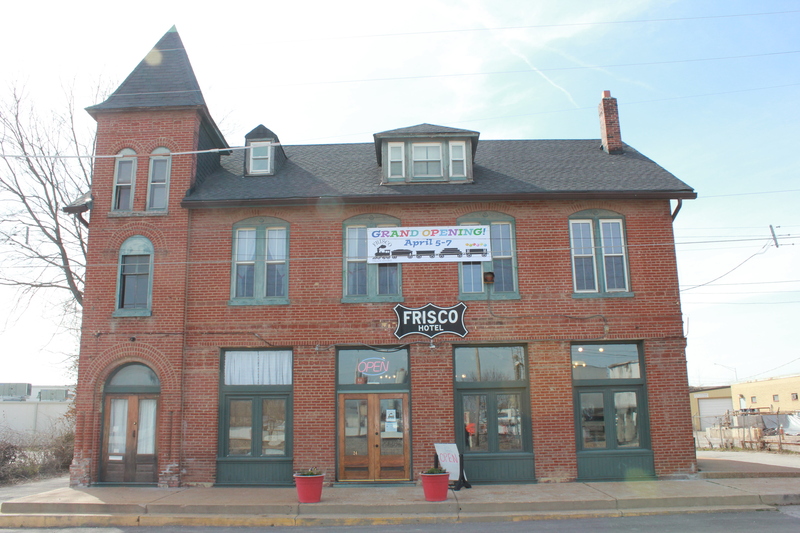 The Frisco hosts birthday parties every weekend. 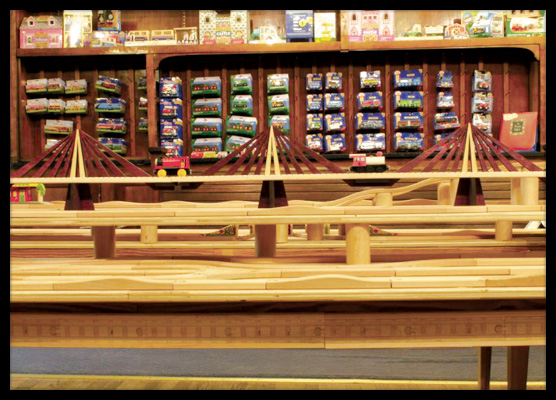 Our party conductors will ensure your party goes off without a hitch. 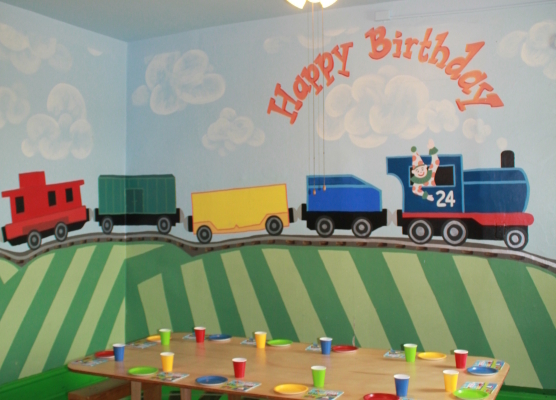 A private party room, a 14 foot train table, our Build-A-Track room and 2 additional playrooms full of wooden toys will all be reserved exclusively for your party. 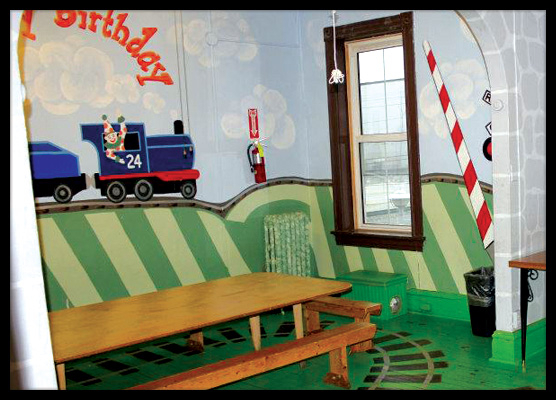 Each party is also provided with a train pinata filled with candy! 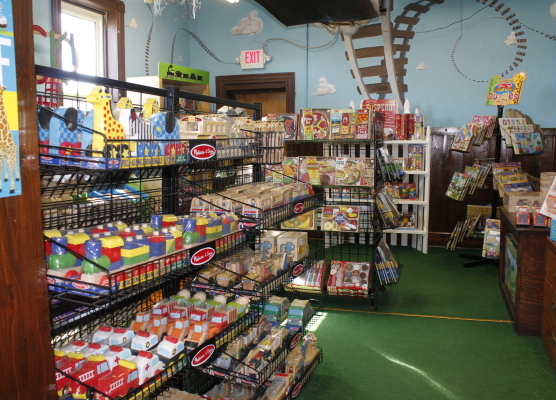 Make sure to ask us about our treat bags and party-supply add-ons! 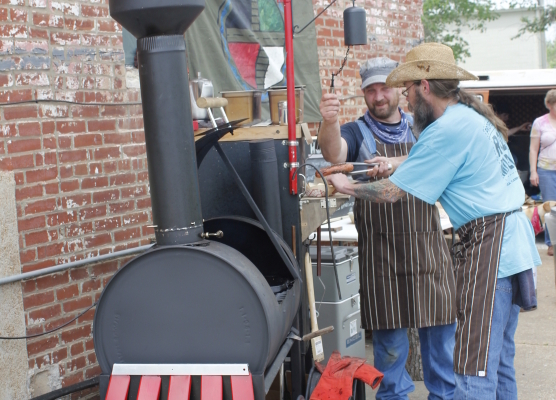 Like us on our Facebook page and check back with us for updates on upcoming events!! 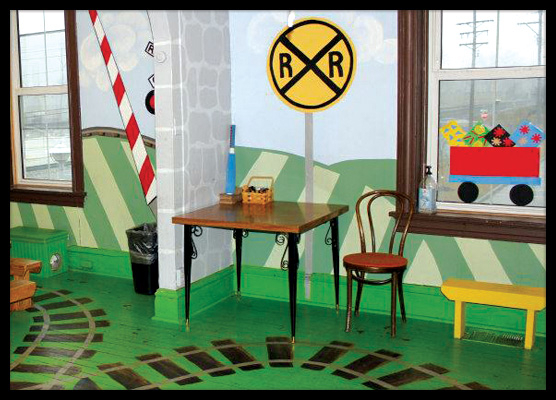 Feel free to call us with any questions at 636-529-1660.